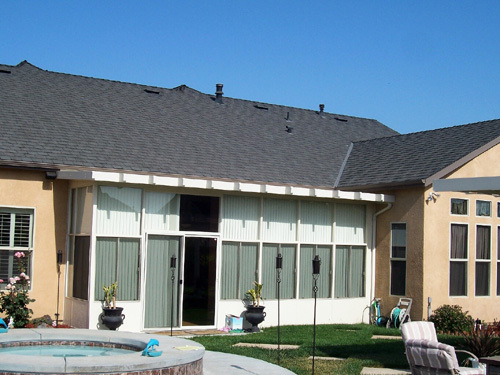 Fresno homes have had a history of screened in porches. Since Fresno is such a hot place in the summer, screened in porches would give homeowners a protected place to relax and enjoy any breezes that may be drifting by. Not so long ago, air conditioning was not an option so locals had to think a little smarter about how they designed homes. The idea of screened in porches was really just an attempt to create outdoor rooms that took advantage of the cooler evening temperatures. When daytime temperatures rose well over 100 degrees, the home would take time to cool down. Many evenings it never would cool down so outdoor rooms were really the only option. Many of the older homes downtowns have screened in porches on the upper floors. These outdoor rooms were positioned to take advantage of prevailing winds and often oversized so that everyone in the home could bring a bed out to these screened in porches and sleep in a somewhat more comfortable climate. Today we can just turn on the air conditioning and pick the temperature that we feel is most comfortable. This simple technology has made screened in porches seem old-fashioned to some. However, as we become more conscious of the world around us, there is a new found interest in the smart designs of screened in porches. As energy costs continue to rise, people are looking for smart ways to save money. Outdoor rooms provide a quick and reasonably priced solution to both increase the usable square footage of a home and create spaces that can be comfortable without using power. These outdoor rooms can take many forms and be completely customized to include as many accessories as desired. Ceiling fans, flat panel televisions and light fixtures are common additions. A popular option for screened in porches is to enclose a hot tub and create a relaxing, protected space. Mico Construction Inc. will provide you with a best custom outdoor room and a quality porches design or screen in porches.